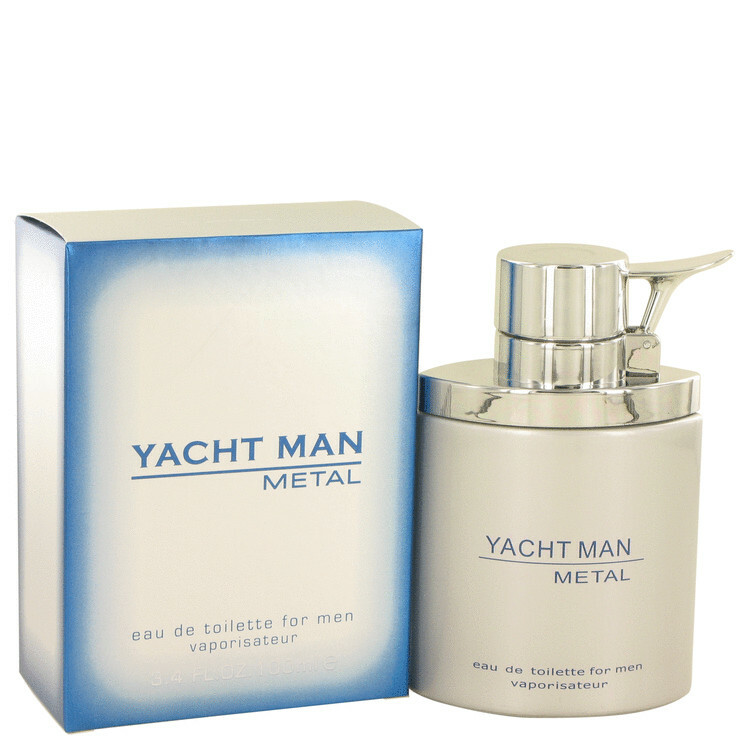 There are 5 reviews of Yacht Man Metal. Decent fresh, citrus-musk scent from Myrurgia. Scent lasted on my skin for many hours - appreciated that, given the abysmal longevity in several other Yacht Man outings. I'll give a thumbs up for the improvement in performance over the other Yacht Man permutations. This is a very brave and potent woody citrus. Initially, it reminded me of the original formulation (1980s) of Chanel's Antaeus, but now I realize that it is almost identical to Allure Sport Homme. This may have been intended since they both arrive in metal flasks. The white musk is sweet and warm and it stays beneath a well-rounded, hearty center of citrus, cedar, and pepper, with a finish of a soft aquatic layer softly placed across the top of the whole thing. 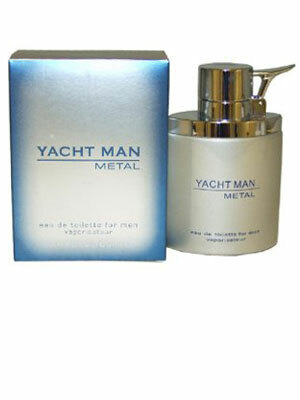 Longevity and projection are better than the other Yacht Man fragrances, which gives you a few hours. This fragrance combines more contrary notes than would have been thought possible and does it brilliantly. This smells like a mild and slightly modified baby powder. And unfortunately, it does last a long time. I just received this in the mail from a buy.com purchase and I have to say that it is a really good scent. My wife commented that she really liked it, so for the 11 bucks, it was worth it! Sweet spicy musk. Lasts a decent amount at around 4 hours. Not too powerful or cloying. A very nice, median fragrance. 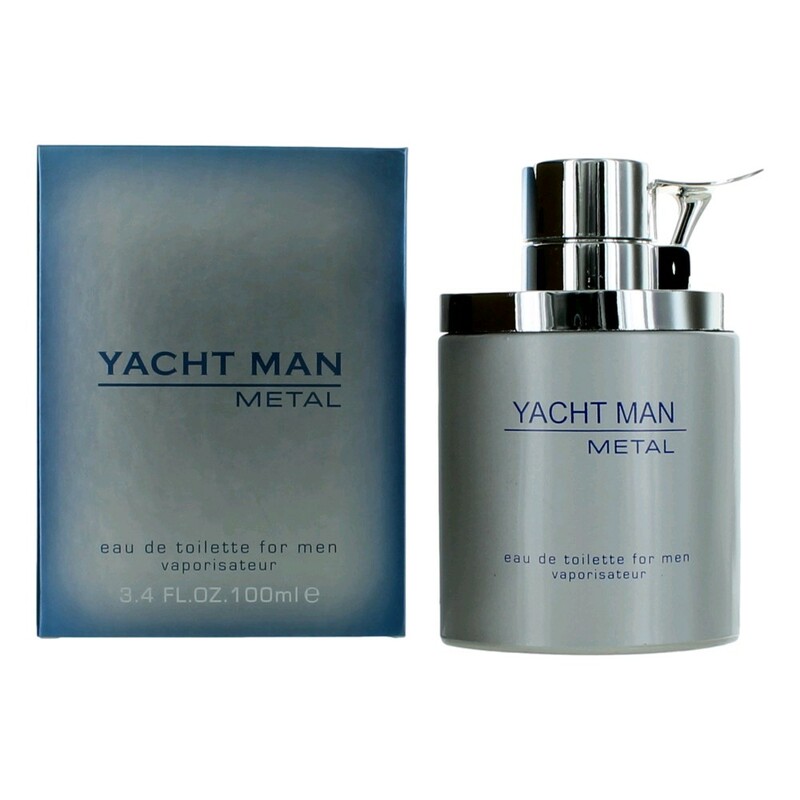 There are no member images of Yacht Man Metal yet. Why not be the first?